Tiger Boats are boatbuilders based in Bath, Wiltshire and Bristol specialising in building replicas of heritage craft in a traditional fashion. Although we are based in Bath our services cover the western Kennet and Avon from Devizes through to Bristol, though we can travel anywhere in the world our services are needed. This website is very simple, we prefer to talk through our products and services so give us a call on or 07975 799994 or 07770 271404 or email us with your query or requirement. For further information please call or email mail@tigerboats.co.uk. We now have a base in the south of France on the historic Canal du Midi, servicing the expatriate community for all electrical and electronic needs. We have regular deliveries of solar panels at UK prices. We can also supply, install and configure the latest in internet technology to make access to the internet easy and trouble free. 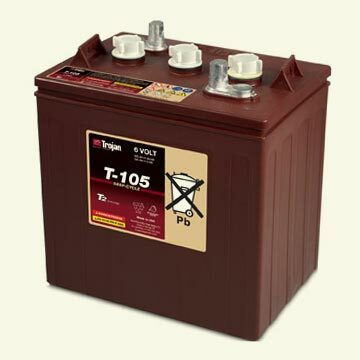 We can now offer Trojan T-105 6V cells, the mutt's danglies of the liveaboard or solar collector battery world. Point-Midi are asking €192 plus IVA for their version, we can sell them to you for €160 IVA included. Battery cables and installation also available. Ring us now on 07 83 89 64 95 to order yours. We build boats from the baseplate up, with traditional methods and fine heritage looks, we weld, we rivet. We undertake repairs and steel fabrication to any stage at a very high standard indeed. Our flagship, a replica of a Northwich with hot riveted cabin, the first Bradford Star Class boat. Boat handling – training from friendly and experienced boat instructors. ‘Diesel engines for dummies‘ and ‘Diesel engines for the frightfully intelligent who know about other things‘ – basic maintenance and background information on how to keep your engine healthy. Boat electrics for dummies – keep your batteries happy and your lights bright. We have spent many years training and supporting non-technical people in technical areas. We don't think you should be talked down to and we don't expect everyone to know everything about everything but sometimes it can really help just to have someone go over your engine, electrics or boating skills and give you a basic road map to start you on your way. Maybe answer those questions that have always been bugging you. Perhaps we'll save you money too when you realise that engine servicing is fairly simple and you can do it yourself. We will give you the confidence to learn new skills and tackle unfamiliar tasks. A lot of self fitout boats from the last 20 years are sold on and the new owners find that although the joinery is first class, a glance behind the electrical control panel reveals a rats nest of identically coloured wires. Equipment added, ad-hoc, over the years, redundant circuits. We can tidy this up, check it out, make sure it's compliant with latest safety standards. We can even produce a wiring diagram for you to aid future fault-finding and maintenance.